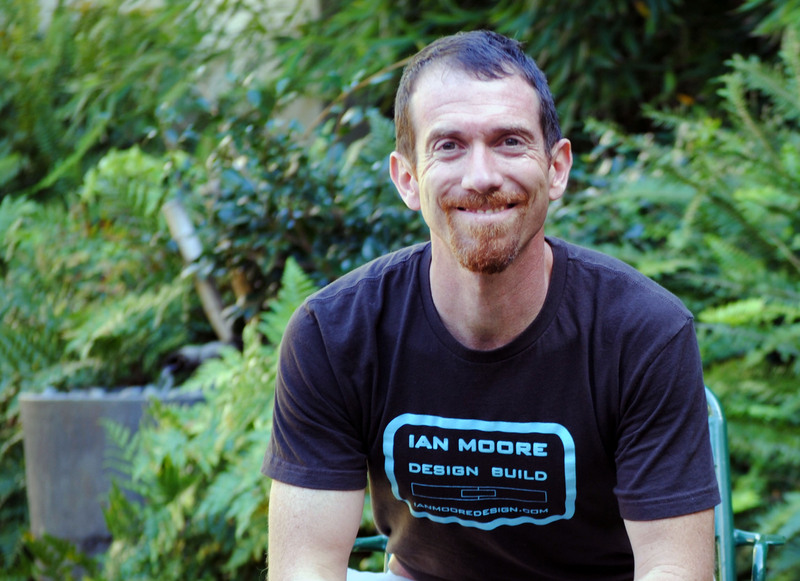 Ian Moore Design is a landscape design-build firm based in Berkeley, California. We have more than 15 years experience working in the Bay Area in a variety of design and consulting relationships and have a deep understanding of local architecture, garden traditions and client needs. We design and construct single family, multi-family and commercial projects. Ian Moore specializes in outdoor structures and creative use of small spaces. We take great pride in craftsmanship and rich detailing. We work collaboratively with architects, landscape architects, general construction design-build firms, as well as other landscape construction firms. We also partner with a wide range of craftsman in order to offer the best blend of skills and capabilities for any project. Our business is best suited to the design-build process because we can seamlessly transition between design and implementation, with a hands-on knowledge of construction, as well as a proven sensibility to material sourcing and cost control. We also happily will build work designed by others where a shared design interest or other collaborative opportunity exists. While we bring a strong contemporary aesthetic to our design detailing, we draw from a broad collection of design traditions. We are flexible to respond to client needs and aesthetic desires and can cultivate a range of design styles. We are able to respond both to existing context and to create something new to fulfill your garden vision. We respond to rich Bay Area traditions and design influences from from around the globe and across many generations including: Arts & Crafts, Craftsman, Japanese, Mediterranean, Modernist, Moorish, and many more. The greatest design and construction opportunity to emerge in the last decade in landscape design is creation of sustainable landscapes at every scale. This requires thinking about site infrastructure and planting design as part of the site-level and community-level ecosystem. In an effort to keep our pulse on what is current we are constantly reinventing ourselves and learning to use new materials that are green and sustainable. Rain water catchment, storm water infiltration, and grey water irrigation are just a few of the systems that we can integrate into your project in order to bring innovation sustainability to the forefront. The ultimate objective for all of our projects is to create landscapes that fulfill client visions, offer opportunities to entertain and relax, and that will mature and endure long into the future. Please call to discuss your project or to learn more about what we can provide to make your vision a reality. Ian Moore has a Master’s Degree in Landscape Architecture and Environmental Planning from University of California Berkeley and before starting Ian Moore Design worked for fifteen years with San Francisco Bay Area planning and design companies to deliver high profile public projects that enhance walking and bicycling in our urban environments. This focus on human experience of place and a lifelong interest in fine grained design and construction details led Ian to found Ian Moore Design to work at the individual site scale and to create objects of enduring quality and beauty. I am a State of California licensed landscape contractor (C-27 Classification). License #981315.